This is so true. Adjuncts make a great hourly salary. It is a fantastic way to supplement a paycheck or a pension but it is a crappy way to have to survive. I have worked with adjuncts who go from school to school and teach 8 classes. And, while many adjuncts are better teachers than their full time colleagues, they do their students a major disservice as they are not around for office hours and extra help. 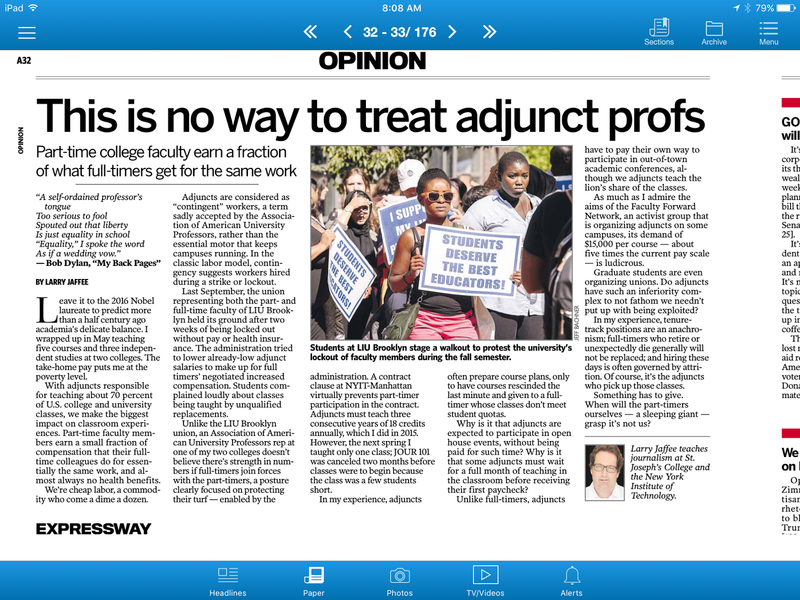 I love being an adjunct but being an adjunct is not a career.